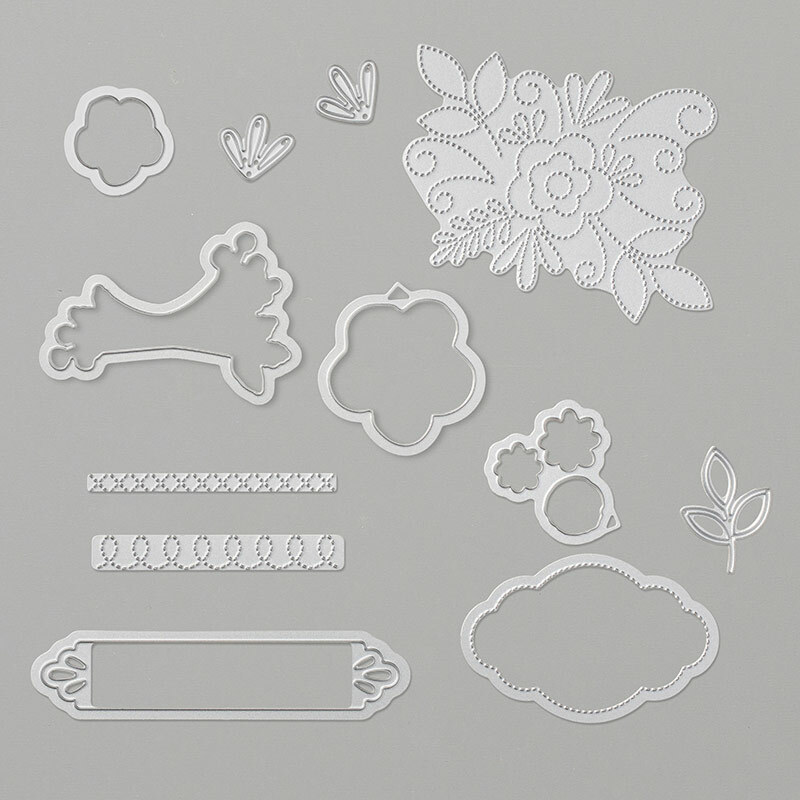 « Design it with Designer Series Paper – and All My Love at Christening time! I’m super pleased to be back on the All Star Tutorial Bundle Deign Team for another six months. There has been a few changes to the team – so here’s a look at current Design Team. My February Blog Hop project is a versatile Gift Bag in Very Vanilla.. The bag is made from an A4 sheet of Very Vanilla cardstock using the Gift Bag Punch Board. The Punch board is great as it can make 3 different size bags and has all the directions – including the required cardstock sizes – written on it! So handy! 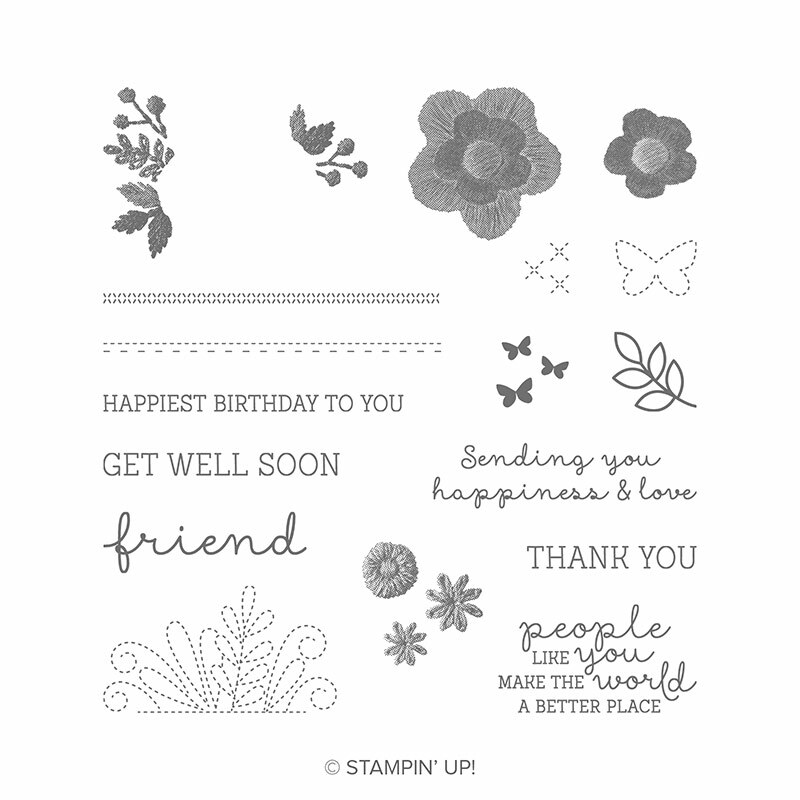 Here’s the Stampin’ Up! video showing the board and how to make a gift bag. 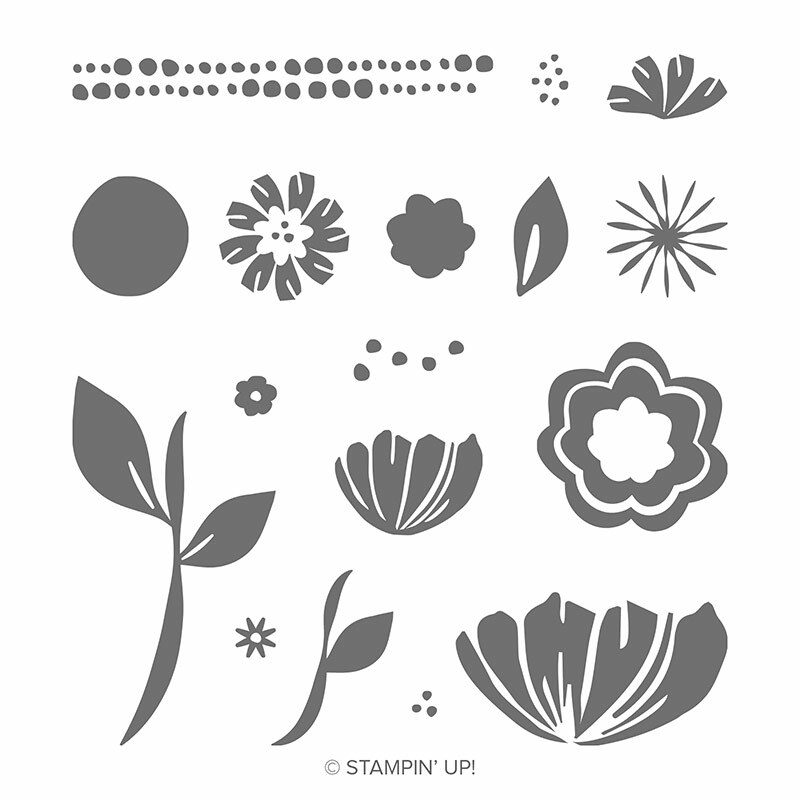 Before constructing the gift bag, I stamped one of the small flowers from the Bloom to Bloom stamp set in Crumb Cake using the Stamping Off technique. The photo below shows this stamping after the bag is complete. 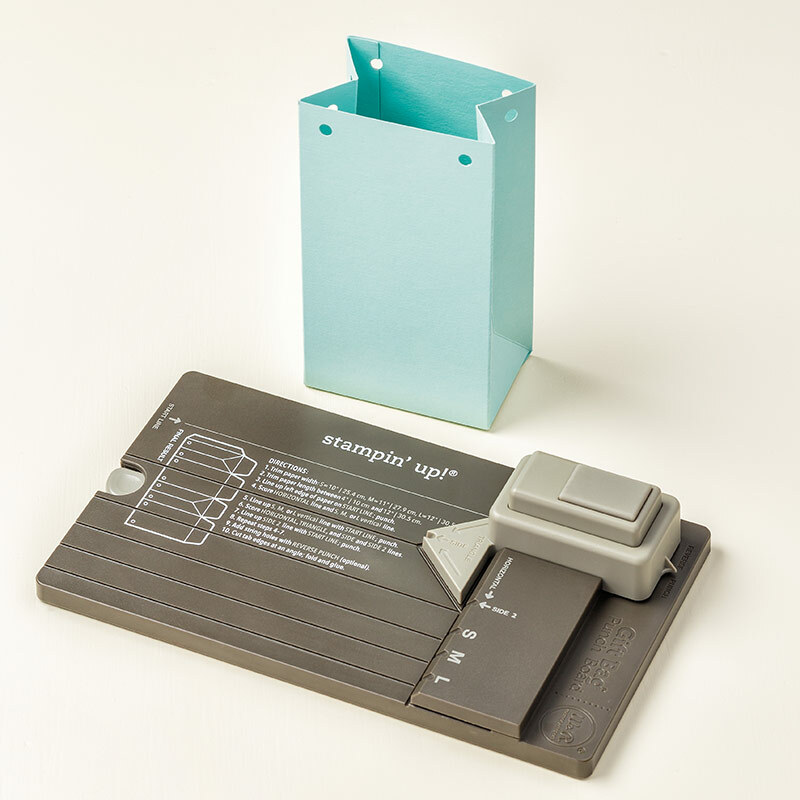 The Stamping Off technique is a quick and easy way of getting different intensities of the same colour by stamping the same image several times without re-inking it in between each stamping. I embossed a 3″ x 6″ piece of Very Vanilla cardstock with the Dot to Dot Textured Impression Embossing Folder, matted it with Crumb cake and adhered to the front of the bag. Closing the bag is easily achieved by threading a piece of Crumb Cake 3/8″ Classic Weave Ribbon through the punched holes and tying a bow. To finish the gift bag off I’ve made a tag and attached it to the ribbon with piece of Linen Thread. The base of the tag is cut using the label shaped die from the Needlepoint Elements Framelits dies. The sentiment (from the Needle & Thread stamp set) is stamped onto a strip of Very Vanilla in Crumb Cake. There’s some more of those little stamped off flowers on the tag too. Here’s a Sneak peek of my February tutorial project. The tutorial contains all the details on how to use the Stamparatus and the stamping off technique. You can see I’ve used the same embossing folder, stamp set and colours. During February you can also purchase a 6 month subscription for $105 – five payments of $21. Gorgeous bag Jackie! Love the Dot to Dot embossing on the Very Vanilla cardstock. Thanks for being part of our All Star Tutorial Bundle Design Team!